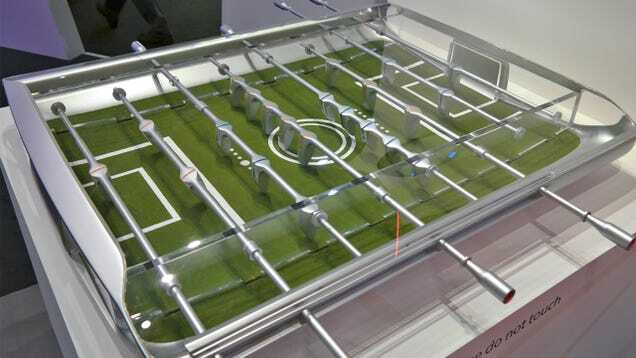 When Ford's designers aren't perfecting the gorgeous curves on vehicles like the company's new Ford GT, they're putting their design chops to good use on more affordable and attainable objects like this magnificent see-through table football game. 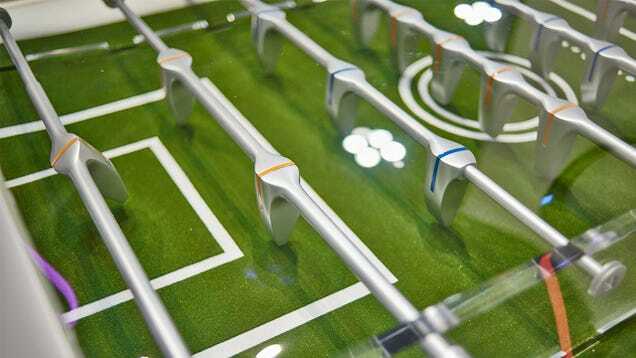 Created by Ford's global design studios for the Salone Del Mobile show in Milano, Italy, the "foosball" table (if you're reading this stateside) is a concept designed to push the boundaries of what table soccer can be. Inspired by real-life open-air footie stadiums, the table is actually supposed to feature real living grass that thrives inside the table's closed ecosystem. 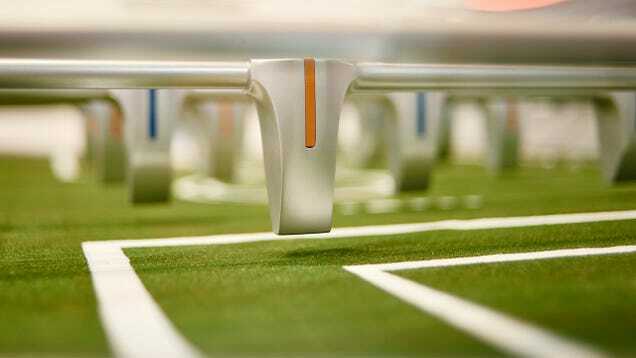 But the mockup instead uses artificial turf, which is actually still a unique twist on the tabletop game, changing the speed of the ball and how the game is played.